What a wonderful place to be inspired...Alice Lane Home. Just the website alone is incredibly alluring! Imagine what a trip to this newly-opened design mecca would be like. Mmmm...dreamy. 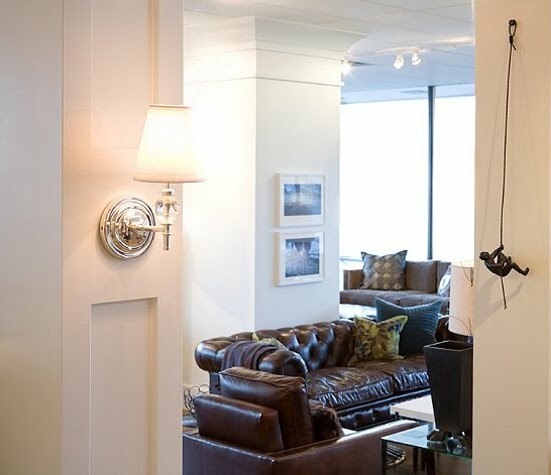 The well-edited collection of furniture, lighting and accessories is just what Utah needs. Who has time to flip through a bajillion magazines/websites when so much goodness is available in one pretty place. Lovely. One lucky reader will receive a $100 gift certificate to use at Alice Lane Home. Wowsers! Just think of the fun you'll have. If it's been awhile since you entered a giveaway, peruse the guidelines below before entering; but most of all, have fun! - You have 5 days to enter this giveaway (closes Tuesday, November 3rd at midnight). - The winner will be chosen via random.org and then announced by Wednesday, November 4th. Hi - I LOVE your blog! I actually just found it about a week ago and I already ordered some of those perfect paper sacks off of your etsy shop. I look forward to more pretty posts! I would like to enter the drawing too please. Thanks! How fun--I love the simple but bold design. Wow - what a great giveaway. Cool stuff! I am now *so* lusting after the Rico Espinet Candelaria! LOVE those glass bottles...wow. would love to blow some cash here!! Such beautiful things! This would be the best Halloween treat! i have been swooning over that headboard! This would really help out two poor and very in love almost newlyweds! What a great giveaway, lovely things. such pretty things at alice lane home. i'm in. my house needs some serious redecorating! Oh I would LOVE this, we just bought our first home about 7 months ago and it could use some dressing up, and this place looks dreamy!! That bed is stunning. Fingers crossed! What a great giveaway. I am desperate for a new beautiful lamp to go in my newly, remodeled bedroom. This would be a perfect chance to find one! I love that little guy climbing up the wall. So awesome! Thanks for the great giveaway. Alice Lane Home has some wonderful pieces that would look great in my house. Such a fun idea, especially right before the holidays! Thanks for the chance! Looks like a dreamy store! oh, pick me! I hope, I hope, I hope I win!!! Would be delighted to win!!! oh the palpitations at the thought! Oh la la! Winning would be lovely. We could definitely use it! Wowzers is the perfect word. Everything is BEAUTIFUL! How did I never know this place existed? I love it! I have a few items on my Alice Lane wish list... wouldn't it be nice! Would LOVE to spend FREE money at Alice Lane...please enter me in the drawing! What fun and lovely things she has! Ohhh! So beautiful! I would love a gift card! Wowsers is right! 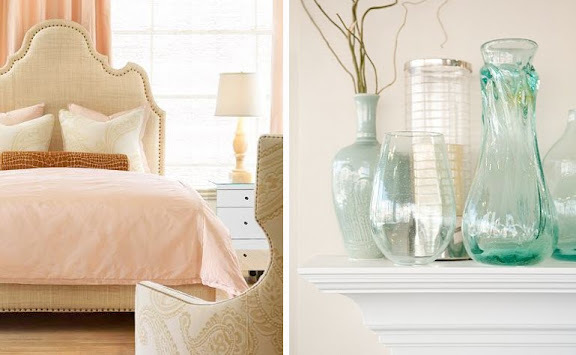 What lovely furnishings....I'm a grandma who could use some new "charm"....love your blog! Oh I have yet to visit but have passed the store a many times, would love this! oh! yes please! these are gorgeous! It's gotta be my turn to win. Right? I was just talking to my husband about how I wish I could decorate our house ... this would be perfect! wow. fabulous giveaway! Thank you! oh, i love this website! I love this look! It had a peaceful feeling. I've been wanting to check this place out! Oh - what a wonderful giveaway! It would be amazing to win, I can't imagine what great stuff I could pick out for my home! What beautiful things! I'm loving everything they have. Wow...what wonderful things they have. I would definitely like to enter the drawing. Thank you for hosting such a special give-away! It would be so difficult to decide what to choose! I love this store, I would love to buy some of their local art if I win! Luv it all...pick me please. I think I am going to have enter this one Steph. With Christmas right around the corner I have my eye on that little man scaling the wall. What pretty things! I would love to win! i desperately need a rug...i think i need one from alice lane. Gorgeous! Just what my new house needs! So much loveliness!!! I want!!! i love Alice Lane, hope I win! Who doesn't need a little "Alice" in their house! what beautiful things! I would love to win. I've been stalking the Alice Lane site since you first advertised it! Would love a little lovely from this beautiful shop! I don't enter many giveaways but this is too good to pass up! you have the best giveaway sponsors! i'm in love. simply beautiful! Gorgeous! I'm still decorating my apartment, so this would be great! Wow! Alice Lane is fabulous! We just moved into a new home and I'm still trying to decorate. Would love to win this! Thanks! Thanks in advance, I love, love, love Alice Lane!! Another great giveaway... hope i win! Gorgeous! My living room could really use a pick-me-up. A pink bedroom, so inspiring! Still need to check out this gorgeous store... a gift card would be the perfect reason to head down there! I'll be in that neck of the woods over thanksgiving and would LOVE an excuse to check out Alice Lane Home! Looks fabulous. oh, this is exciting! i had a look specifically at their mirrors and would definitely splurge on one of those! Oh what a great win this would be; re-doing a getaway space for my husband and me and would just LOVE to win this! I just want to crawl into those pictures and relax away. . . I'm redoing my bedroom right now--this would be perfect! Beautiful! We just bought a lake house, this collection would be wonderful to fill our house! Thank you for sharing your inspiration! I love the simple, clean taste! My favorite is the little climber on the wall. My bedroom has never been my haven. I need a haven for myself!! You’re right, really gorgeous stuff…I’ve had a wonderful time just now peaking around the site and imagining what I’d send off for if I won the giveaway! Ah, it would be so fun to win! Oh, I love this store, and would love to get a little something there! Love the climber...as well as everything else!! Would LOVE to add some ALICE to my home! Heres to winning! Lovely Home Decor, that could add some light to my Holiday season! How could I stay under $100? no way! Great stuff. Pick me, pick me! Please!! We just moved in to our first house, so we could really use this. Crossing my fingers! You always have the best giveaways Steph! Crossing my fingers! alice lane in my home would be wonderful! My house needs some love... pick me! My house sure could use this! I can see that $100 being just a helpful start to spending a whole lot more! Great stuff....New to your blog, and have been reading it everyday for 3 weeks!! New to your blog, but i've been reading non stop for 3 weeks. These look like some great products. so pretty! Please pick me! oooh, I am just moving and would LOVE this! I need to win this. You wouldnt regret picking me! How fabulous! Many the random.org gods be on my side. My apt is begging you for this!!! It sure could use some updating. So glad I found you and your blog and your French country house! LOVELY! YES PLEASE! Still have some final touches needed in my resigned room, the gift card would be well spent. Wonderful giveaway! Thanks for the opportunity! "Life has loveliness to sell"
Love everything about Alice Lane. And your blog. What beautiful things! I could certainly use some of her lovely items in my home! Gorgeous. I love all the glas vases. Yes, I could definitely spend some money here! Pick me! My house could use some beautification...this would be great. I could really use a few items to spruce up the home...everything looks beautiful here! Thanks for the giveaway... what beautiful things! I love their stuff, what a great store! Please pick me. their stuff looks great, hope i win this one! I LOVE that little wall hanging of the man climbing the rope! I don't live in UT, but my UT friends would love this as a Christmas gift from me! I do LOVE these images! What fun could be had with a $100 head start! wow I love that stuff! always in need of something to beautify my home! This would be sooooo useful for the new house!! Now THIS is what my student-budget apartment needs! New to your blog-enjoying it very much! There was much to like at the Alice Lane site-would love to win! Wow! Beautiful stuff! Thanks for the giveaway! Oh random, we could use a comfy chair. Wow! I just love this stuff. How fun would this be to win!? OH MY GOSH. Christmas-time treat for me! I love alice lane!! what an amazing giveaway! I'll have to check out the new store the next time I'm in Utah. Oh now that's SERIOUSLY cool! oh to beautify my home! looks like a great giveaway! here's hoping i find out just how great! I want to win this one! Thanks! Great designs! gorgeous + serenity = perfect! How pretty! I can't wait to visit next time I'm in Utah. I am going to UTAH next week to visit family!! I will be sure to stop by this wonderful store! What an awesome giveaway and what fun shopping it would be. Thanks for the chance! Love their stuff!! Very inspiring.